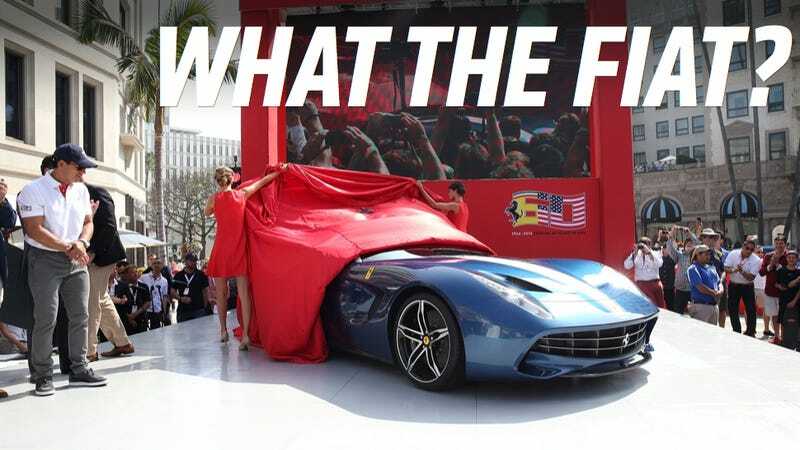 Fiat-Chrysler Automobiles announced this morning that it plans to spin off Ferrari in a public listing. The Italian manufacturing conglomerate has owned the smaller sports car company for 45 years, and now, they're parting ways. In case you don't speak finance, what that means is only 10% of Ferrari's shares will initially be up for grabs. The remaining 90% that FCA owns of Ferrari will be distributed among FCA's own shareholders, first and foremost of which is the Agnelli family, which controls 30% of FCA's shares. John Elkann, Chairman of Fiat-Chrysler and grandson of longtime Fiat chief Gianni Agnelli, said that he was "delighted" to be taking this next step in the company's history, according to a press release. The separation of Ferrari from the rest of the business will "preserve the cherished Italian heritage unique position of the Ferrari business," he added. FCA CEO Sergio Marchionne added that it was "proper that we pursue separate paths for FCA and Ferrari," in order to secure the larger company's financial position. Fiat-Chrysler itself was publicly listed in New York earlier this month. By selling its shares in Ferrari, FCA should receive a bump in its cash position. The company is planning to spend up to $60 billion on its products in the next few years, and already has a not-insignificant amount of debt. In 2011, Marchionne speculated that Ferrari could be worth more than $10 billion, according to the Financial Times. Longtime Ferrari CEO Luca di Montezemolo was forced out in September, following a significant difference of opinion with Marchionne. Marchionne himself ended up taking over Ferrari. "Life is strange. Life makes surprises. It's important for us to look ahead." But that didn't stop the rumor mill. Within days of his ouster, rumblings began that it was in part due to his disagreement with a sale of Ferrari.